Marina Oliveira, the name behind Cottonflower Studio talks to us about travel and her wonderful home of Brazil. 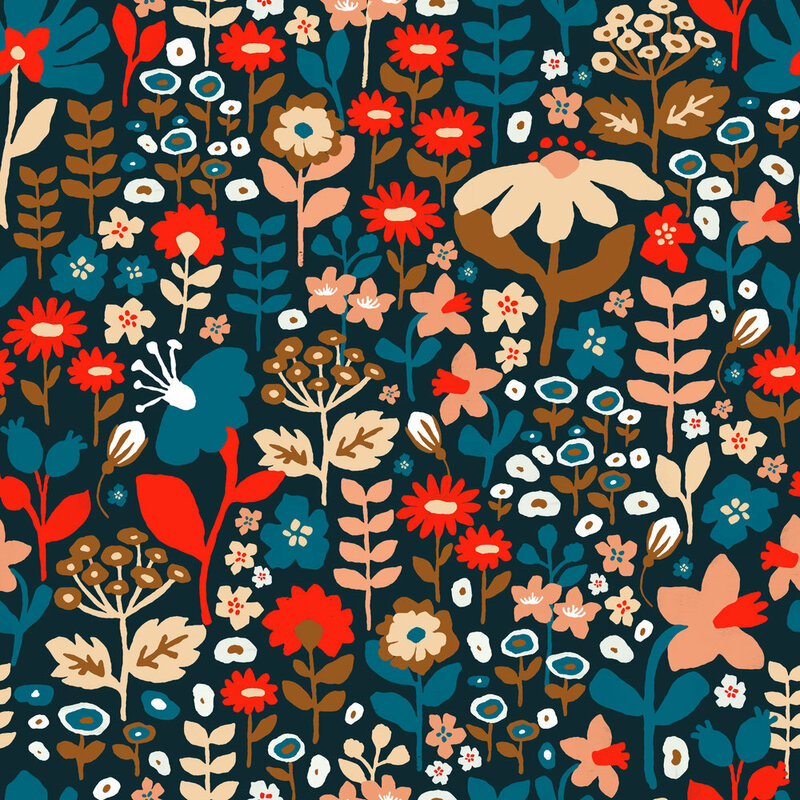 Gaining popularity with her surface patterns and illustrations, she’s one to watch. Let’s chat! We absolutely love your work over at Cottonflower Studio – how did you come about such a cute name?! It has been almost three years since Cottonflower Studio started. I remember when I came up with the name I wanted something floral but also related to textiles, Cottonflower seemed to be the perfect match. Although the flower itself is not very known, the name sounds very familiar to most people. At the time, everyone I talked to really liked it and so I decided that it was the one. Being from such a beautiful country such as Brazil, do you find your culture has a major influence on your work? It definitely does! Brazil has its own distinct folk culture designs and beautiful fauna and flora to be inspired by. And at the same time, it’s also a country with many foreign influences, from the diversity of all the people that have migrated here in the past century. The variety of themes creates plenty of options for me to explore my creativity. What is your process? Do you draw directly into a final piece or is it more of a steady progression to the completed pattern? It all starts in my sketchbook with a good cup of coffee to get me going. I either draw with an idea/vision already in my mind or a simple sketch that evolves into a totally different concept when finished. After this, when I feel it is complete - I scan and digitalize, working the details until it’s finished. I’ve been using a simple pen and computer in this process, but I’ve been wanting to add a twist by working with different mediums in the near future. What is your favourite thing to illustrate?! We noticed that you have so many pretty botanical pieces, would you say these are your go-to? And what is one thing you would love to illustrate but the thought of putting pen to paper scares you?! You got it right! Flowers and plants come naturally for me to draw. Even when I’m upset or wanting to take my head off of something, I find myself drawing flowers. But I’m very intrigued with the human figure, which scares me the most. Humans are so complex and there are so many points of view to draw. I feel that I haven’t found my unique style to draw a human yet, and it frightens me a little. But I’ll keep working on it until I find my way. 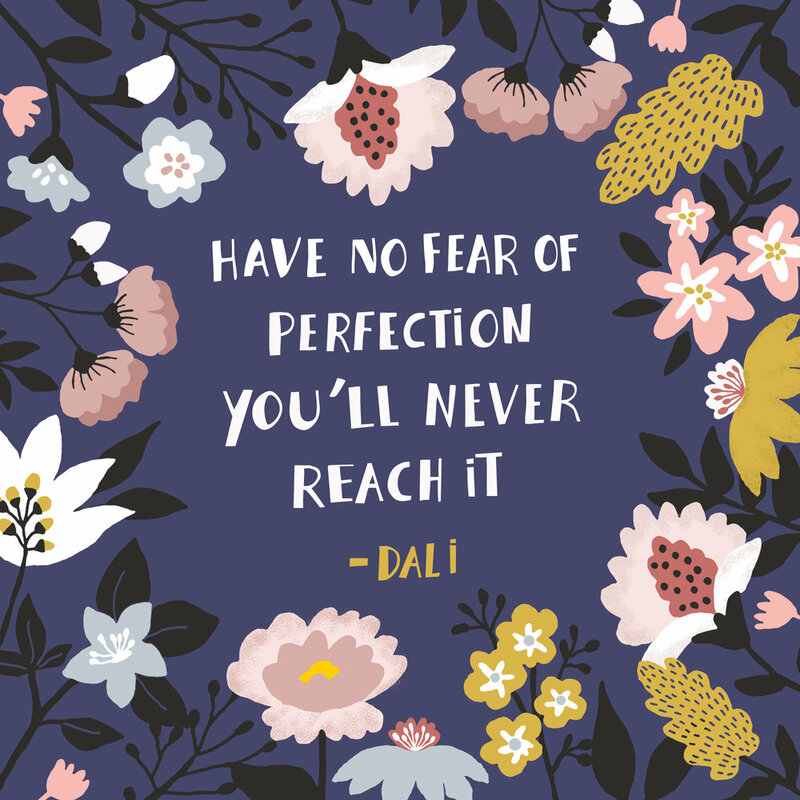 We agree there – the human form is so tricky! Other than illustrating and pattern making, do you have any other hobbies and interests? What inspires you out of the studio? I love travelling and being with my dog and cats. I’ve been travelling since I can remember with my parents, and it’s always felt so good to explore and meet different people from around the world. I’ve been able to visit over 30 different countries and gained so much inspiration from each place. If I’m not creating something or travelling, I’m probably enjoying the company of my beloved pets. My goodness that’s a lot of places, it sounds like you had an amazing childhood! As a last question - Do you have any words of advice for our creative readers?! Do whatever you love to do, have fun with it, and it’s likely you will do your best and probably good things will come along! - These are my husband’s words and it’s the greatest advice I’ve ever had.